The River Fowey is a long time traditional waterway located in Cornwall, England, United Kingdom. 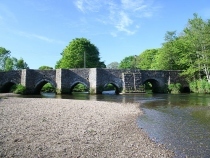 The river is westward of Liskeard, runs by Lanhydrock House, Restormel Castle and Lostwithiel. The river then widens near Milltown before entering into the English Channel near Fowey. 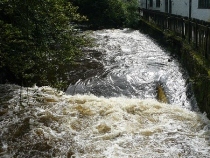 The River Fowey is navigable for just 7 miles at the opening. A ferry is used to take passengers the remaining distance. A car ferry is also available which picks up and drops off from Fowey and Bodinnick. 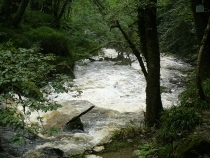 The river Fowey has seven tributaries and is only second to the River Lerryn. There is one road which runs through the center of town. The river in Fowey has several purposes seeing thousands of people a year come into Fowey for recreational sailing. It’s famous for this due it having a natural harbor. Many vessels enjoy the use of the river, but it is known for its yachting. Fishing in Cornwall and Fowey is known the world over. It is home to several types of fishing including scallops and crabs. The industry is enormous and is chiefly the main reason why the town has survived so well and is so rich in resources. Fowey is also known for its hiking. It offers tourists who are into the activity many forms as the land surrounding Fowey is of such varying degrees. You can hike on the beach offering you some stringent exercise. There are also many hills and forests to challenge a nature trekker. There are cliffs so those into hiking high and descending or those who enjoy rock climbing will have the mouth wetted with excitement. Fowey offers some of he most beautiful natural scenery one can find. It is due to this outstanding natural beauty that has made Fowey a well established tour destination to hikers, fisherman, and seekers of unique history, holiday travelers, artists and fine gourmets. One of the famous attributes of the River Fowey is the China Clay Industry which, aside from fishing, is the second chief money producer in the area. They are a chief exporter of the mineral seeing several tons leaving the harbor each year. The River Fowey has just two transports that are Ferry’s, one being strictly a passenger ferry whereas the other is a car ferry and they both connect at Fowey Polruan, a very historical town, and Bodinnick. River transport offers two pedestrian ferries and one vehicle which connect, again, Bodinnick and Polruan. Despite this being an incredibly small town with few homes or people you shouldn’t let that fool you. There is public transportation in case you would need it. There are several bus services that you can utilize. Some go from town to town and another just within this parish district. There is even a leisure line that takes tours around the area. The schedules are somewhat irregular so you should make sure to check the schedules when you arrive into town. Usually there is a bus running at least every 15 minutes, 6 days a week from the town square. Tourism in Fowey is high for a reason – see for yourself.